A growing number of scientists admit that eating fat does little harm and can be beneficial when combined with a diet including fewer processed sugars and carbs. This is partly due to greater access to research papers and also to social media, including YouTube, which help connect research practice with public interest. 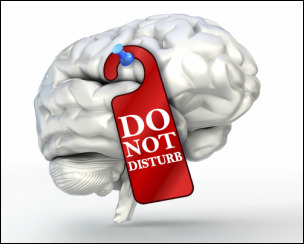 It’s a situation where informed and well-read lay-people are helping change perceptions. Watch British cardiologist Dr. Aseem Malhotra talk things through with the RTE channel. 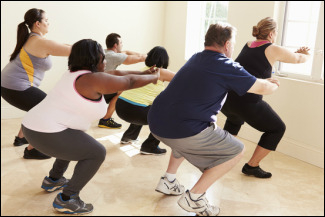 The core message of recent times: "eat less fat and exercise more" plainly hasn't worked. Science is by definition evidence based, so you’d expect scientists to change their mind when new evidence emerges. And that time appears to be ‘now’ when it comes to saturated fat. Don’t think that your local GP will get that message for a while yet though. There are still too many companies, institutes and institutions interested in preserving the status quo. Human nutrition is by definition a highly complex area with people’s diets often reflecting personal and religious beliefs as well as commercial and political interests. It is a young and developing field where those involved are quite frankly still learning the basics, more often than not dealing with correlations and hypotheses than pure science. And a misinterpretation of these correlations has quite literally led us too far down the wrong path over these last 50 years or more. Although just correlations, they have been translated into established government guidelines across the Western world, as if they represented conclusive research based evidence. And of course, personal reputations continue to frustrate the change process (it’s difficult to admit being wrong at the best of times) and commercial interests perpetuate the established wisdom. What is now pretty much accepted is that the diet-heart hypothesis originally put forward by Ancel Keys in the 1950's was and is flawed. It only ever was a hypothesis but it sounded just too believable to many and it was presented with a hard sales approach by Ancel Keys. The simple message that saturated fat raises blood cholesterol and as a result contributes to the risk of a heart attack seemed in a way to be logical... fatty plaques in blood vessels must be caused by ingesting the exact same substance (that being fat), mustn’t they? Cholesterol in the blood is associated with coronary artery disease; so eating dietary cholesterol must have a strong impact... but now we know that the ratio of 'good' to 'bad' cholesterol is much more significant. Fat is calorie dense compared to carbs and proteins on a weight-by-weight basis so that must also be what makes you fat (4:9 is the approximate ratio)... but that ignores the satiety factor (feeling full). As saturated fat intake has reduced, so have levels of cardiovascular death... it's a correlation at best. Replacing saturated fats with polyunsaturated fats has been shown in scientific studies to be healthy... highly questionable given the Omega-6 levels in most pufas. Reducing dietary saturated fat intake has been one of the most successful public health interventions of the last 40 years. And while it is true that there have been modest reductions in cardio-vascular death, there have also been large changes in other risk factors such as smoking. Also, the general levels of access to good healthcare have improved and of course many more people now take medicine for hypertension. More importantly and more or less simultaneously, we’ve seen a massive rise in obesity, diabetes, cancer, dementia and neurological problems. Even in establishment circles, these are now being seen as metabolic diseases that are strongly related to diet and lifestyle. Stability: "Saturated fats, having no double bonds to react with oxygen don't oxidize or form dangerous aldehydes when heated." Certain fats in the blood are associated with heart health. Dietary carbohydrate, including of course sugar & polyunsaturated seed oils high in Omega 6 fatty acids increase levels of oxidised LDL (so-called ‘bad cholesterol’) which are the molecules that can transport fats into the arteries. They also decrease ‘good’ HDL, the ones that transport fat away from arteries. There is simply no known mechanism where saturated fat contributes to the formation of oxidised LDL. In fact, indigenous populations eating diets high in saturated fat such as the Inuit and groups in the Pacific Islands, do not suffer a high incidence of coronary artery disease. Such south-sea diets can be very high in saturated coconut fat which was poo-pooed until recently by the medical and diet community – yet in those communities, there is an associated absence of chronic diseases. As human beings, we evolved in a variety of environments and learned to deal with a range of protein, fat and carbohydrate intakes. But in earlier days, with availability of food being an important issue, we had to become good at storing and burning fat seasonally. Dietary carbohydrate helps us with this kind of fat storage by elevating insulin and creating leptin resistance and this regulates energy intake and expenditure. In the words of Dr Robert Lustig, author of ‘Sugar; the bitter truth’: "Leptin resistance means your leptin is high, which in turn means you're fat, but your brain can't see it. In other words, your brain is starved, while your body is obese. And that's what obesity is: it's brain starvation." That being said, in evolutionary terms, this may have been a useful mechanism for us when food availability was restricted. In experimental trials carried out where people eat more fat, including saturated fat, in the context of a lower carbohydrate diet, all their cardiovascular disease risk factors improve. Professor Schofield believes that we need to take a broader look at the evidence for the links between fat and human health. The message to reduce saturated fat has been a communications success, but the consequences are that we now eat more refined carbohydrate and Omega 6 fat which has been a public health disaster. It’s time to stop defending dogma and to start conducting better research into human nutrition. In a nutshell: Saturated fat does not cause heart disease. Total fat intake also has little or no association with heart disease. It seems more and more likely that it is the polyunsaturated omega-6 fat linoleic acid found most commonly in plant oils and trans-fatty acids (industrially highly refined oils) that have a causal relationship with heart disease risk... particularly when heated to higher temperatures. More here on Professor Schofield - recently appointed in New Zealand as the Ministry of Education’s first Chief Education Health and Nutrition Advisor. I'm sure that signs likes these, jointly condemning trans-fats and saturated fats, all come from a good, well-meaning place but it's disappointing how ingrained such messages are. Industrially produced trans fats are not in any way similar to healthy saturated fats. Yet after so many years of the 'fat is bad for you' message, it's only too easy to mislead with pictures and headlines placing all trans fats and saturated fats in the same basket. Dairy provides one of the highest inputs of saturated fat in our diet. If you can, by now, get over that:)... 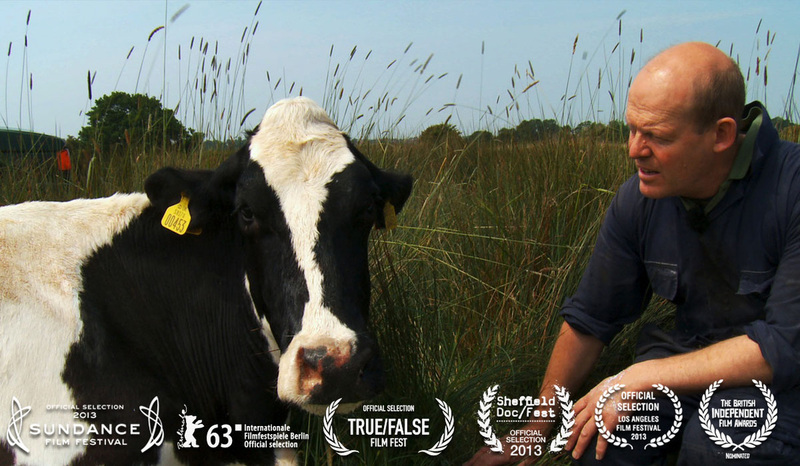 This is the remarkable story of a maverick farmer and his unruly cows, filmed over four years on the marshes of the Pevensey Levels. In an attempt to save his family farm, Stephen Hook decided to turn his back on the cost cutting dairies and supermarkets, and instead stay small and keep his close relationship with the herd. However farmer Hook's plans to save the farm did not always go down well with his 55 spirited cows. The result is a laugh-out-loud, emotional roller-coaster of a journey. Special thanks to Michael Joseph at www.nutritionadvance.com for this graphic. Never forget: Saturated fat can be found in all fats and all oils - even olive oil.